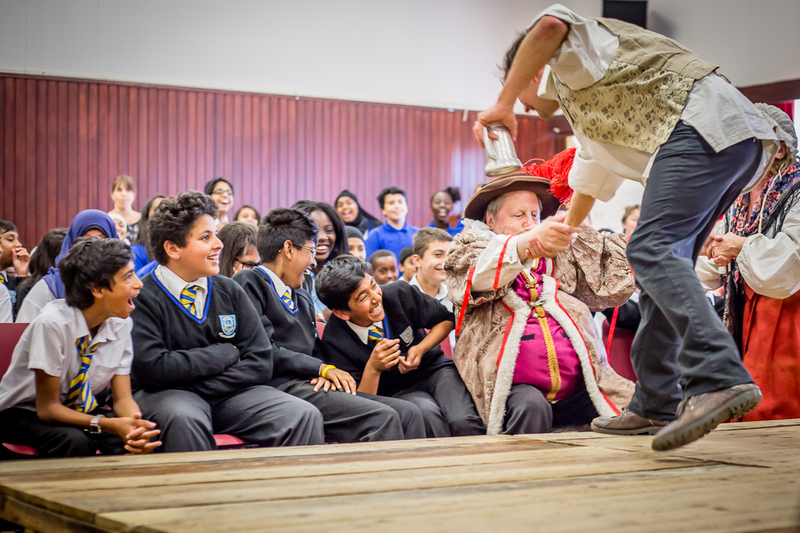 On Monday 22nd June 2015 The Globe Players transformed Kingsbury High’s school hall into a theatre-in-the-round performance space. Year 7 students surrounded the stage where they were taken through an array of Shakespearean plays. Audible ‘oohs’ and ‘ahhs’ were heard from eager students as scenes from Romeo and Juliet, Twelfth Night and Richard III were performed. 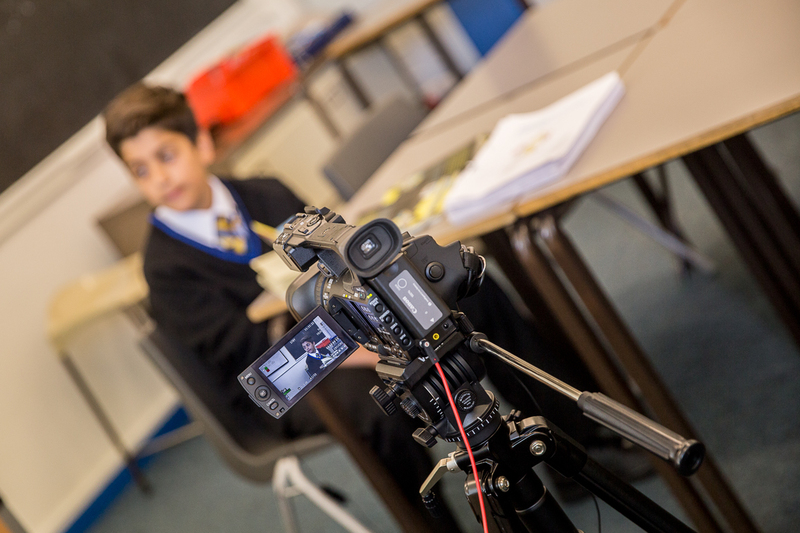 On Monday 15th June 2015, a film crew came to visit Kingsbury High School to capture The LIT Programme in action. The LIT Programme is an educational programme that Kingsbury High has been piloting with the Hackney Learning Trust over the past three years. Throughout this year around 70 Year 7 students have been involved in the project during their English lessons to improve their reading comprehension and writing skills. With the footage, The Hackney Learning Trust is making a short, educational film about how The LIT Programme is delivered at Kingsbury High School. The film will feature The LIT Programme lessons, as well as short interviews where both students and staff speak about their experience of the programme this year. 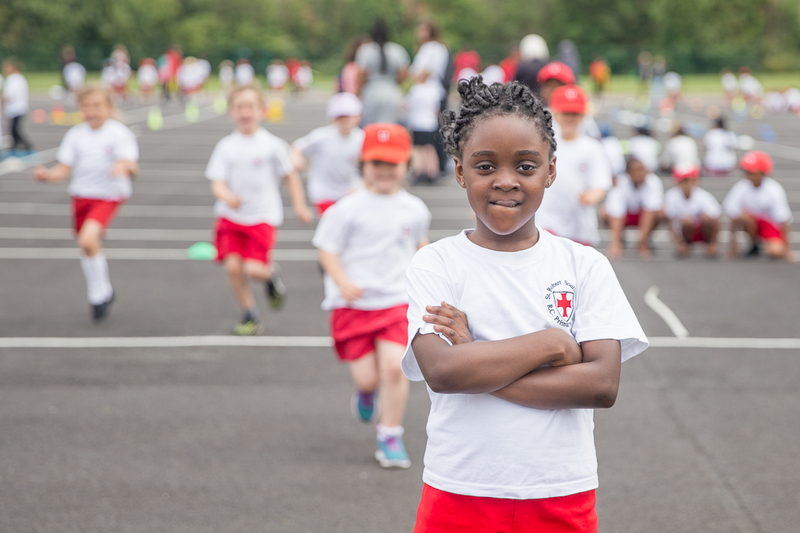 On Tuesday 9th June 2015, Kingsbury High School hosted the Kingsbury Jump Off to raise money for the British Heart Foundation. 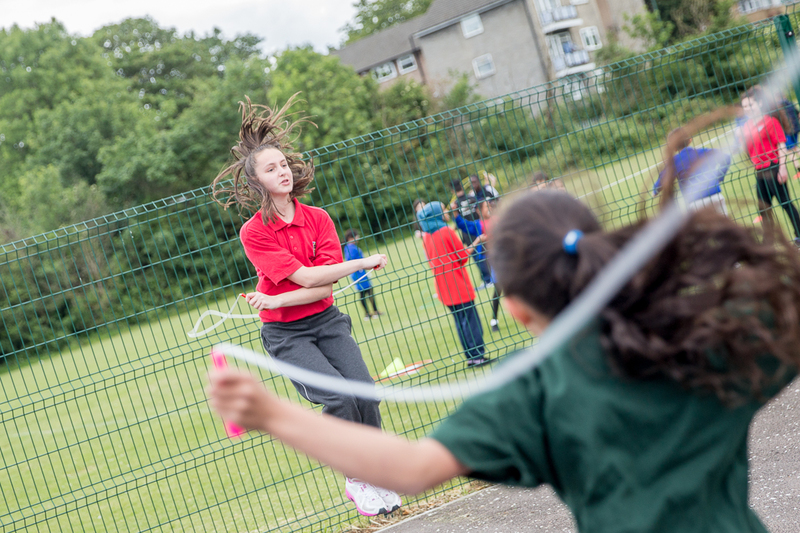 Year 5 students from Oliver Goldsmith Primary School received training in basic skipping skills prior to the event and then took part in a two hour sponsored skip-a-thon on the day. Lead by Kingsbury High School’s Year 7, Year 9 and Year 10 Sports Leaders, the Year 5 students rotated through skipping stations learning various techniques and exercises at each stop. The money raised will help fund essential research into the causes and treatment of heart disease, patient care and support. 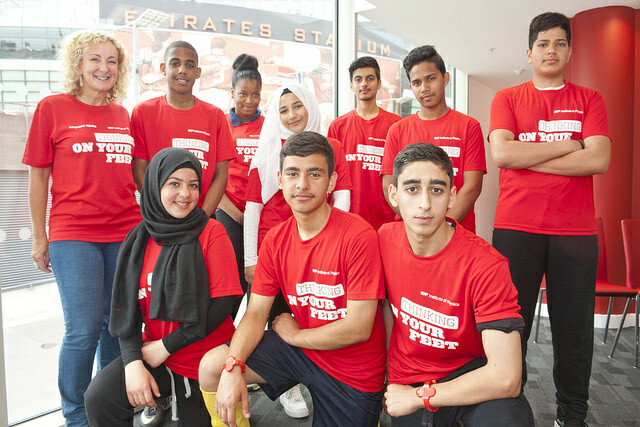 Students from Kingsbury High School took part in a day of physics and football at Arsenal’s Emirates Stadium on May 15, 2015. The day concluded an eight-week program to engage students with science by applying it to football. Prior to the day, students had been attending after-school physics and football clubs where they learnt about such concepts as projectiles, impact area and centre of mass and applied their knowledge in practice on the football pitch. The project was made possible by a grant from the John Lyon’s Charity and was run in partnership with the Institute of Physics (IOP) and Arsenal and Queen’s Park Rangers (QPR) football clubs. During the program, IOP physics coaches worked alongside each school’s physics teacher to help students explore physics concepts. They then worked with a PE teacher, or a coach from Arsenal in the Community or QPR to apply their knowledge on the pitch. At the event, the focus was on the spin and trajectory of the ball and why footballers sometimes kick across the ball rather than straight through it. Students learnt how an additional force comes into play when the ball has spin, and experimented with backspin, topspin and sidespin to see how this changes the path of the ball. As well as football training and physics activities, the day included a tour of the Emirates Stadium and each of the students were given Arsenal-branded attendance certificates and a goody bag to take home. As well as Kingsbury High School, other participating schools included The Crest Academies, Whitefield School and William Ellis School. Thanks to the IOP for the photography.